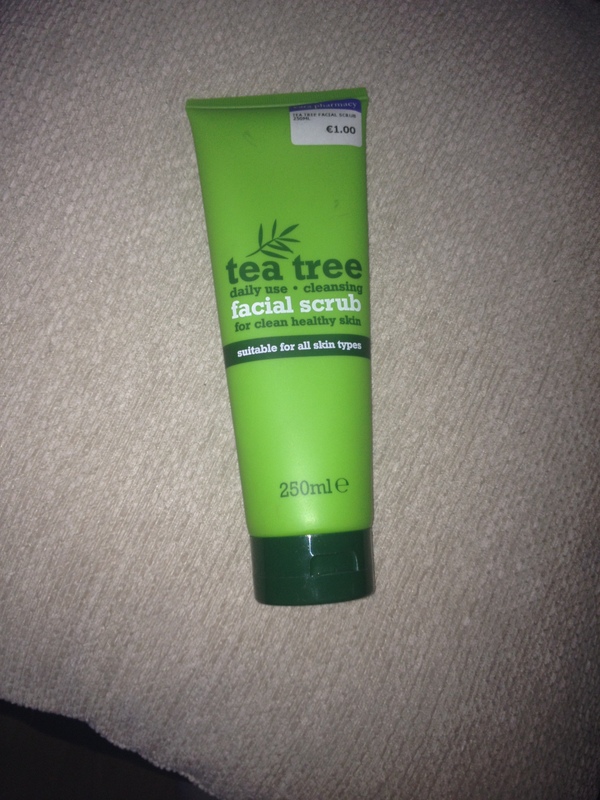 I purchased this facial scrub last Wednesday in Cara Pharmacy for 1 Euro yes you read that right 1Euro. For the price I didn’t really have high expectations but I had to purchase it regardless. Previous to purchasing this I used the Clean and Clear Exfoliating Daily Wash which was 4.19 Euro. When I exfoliate I always use an exfoliating glove just because I feel it gives me the best results for my skin. This Tea Tree face scrub leaves my skin baby soft I was so surprised by this product and I will be repurchasing this when I run out. I purchased this the same day as the previous product. This was 1.25 Euro. 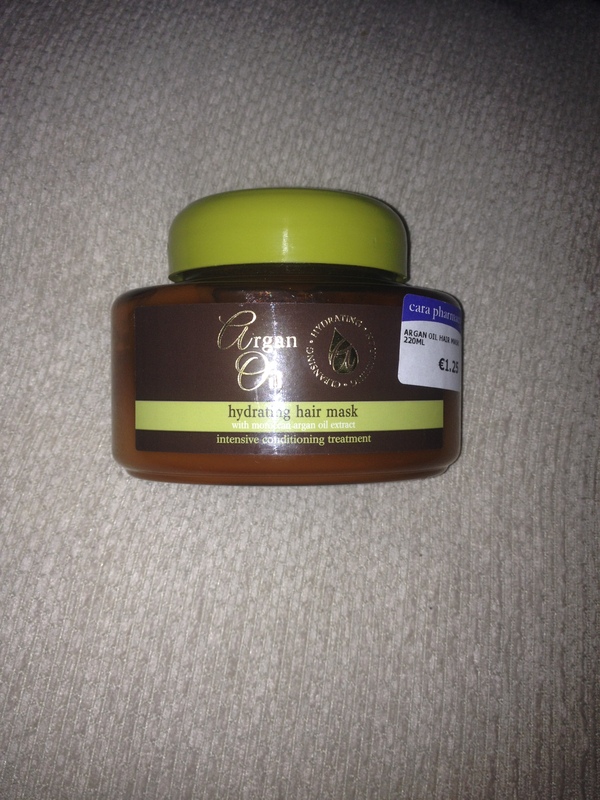 I haven’t purchased a hair mask in a long time previous to this and my hair was in desperate need of a deep conditioning treatment. For 1.25 I thought I might as well give it a go, I washed my hair with shampoo only and then applied this hair mask all over my hair and left it in for 10 mins and washed it out, Before this I was not able to brush my hair at all even my tangle teaser was having none of the knots but once I washed this out my tangle teaser glided through my hair with little difficulty I was amazed to say the least. The only advice I would give is to wash it out really thoroughly because it can leave a straw like texture to your hair if it is not washed out properly. 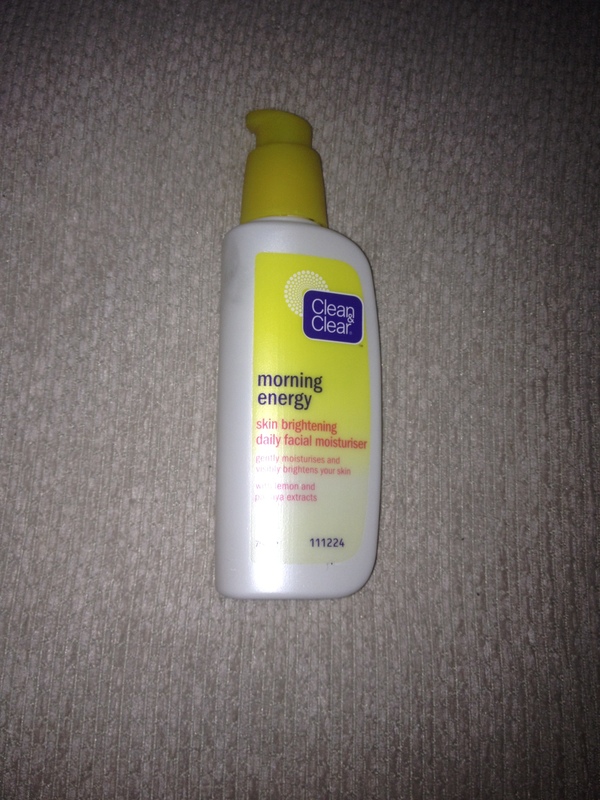 I have been using this moisturiser for about a year now I am on my 3rd or 4th bottle at the minute.This moisturiser is around 5 Euro here in Ireland it has lemon and papaya extracts so it smells amazing. it also has light reflecting pigments to brighten the skin.I always exfoliate and then apply this moisturiser. 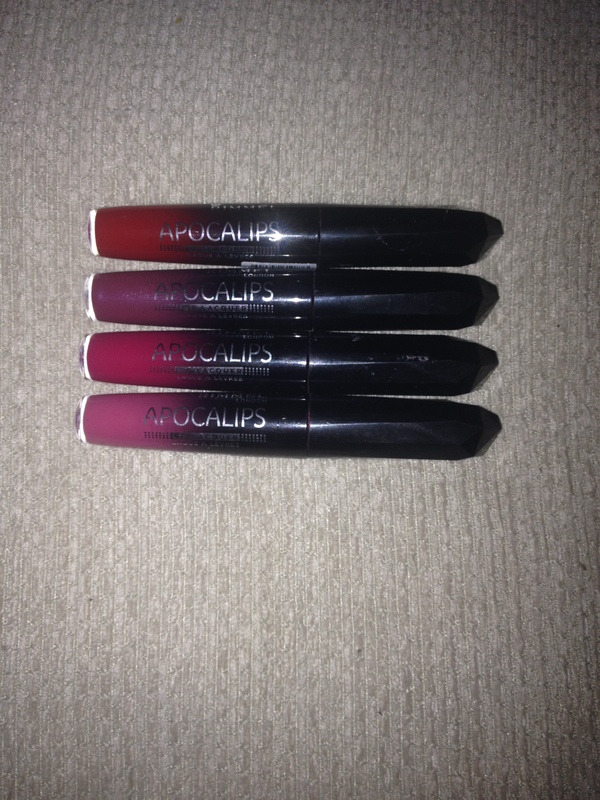 These lip lacquers have been my go to lip gloss/stick every time I wear make up .They have the pigmentation of a lipstick and the shine of a gloss, They retail at 7.99 Euro in Ireland in some places you can get them for 5.99. I wear the colour 101 celestial mostly and mix it with the Revlon Colour Burst Lip Gloss in 042 Bellini. The shades I have are 301 Galaxy, 400 big bang , 101 celestial , 303 apocalyptic , 102 Nova. I have loved the colour tattoos ever since they came out. 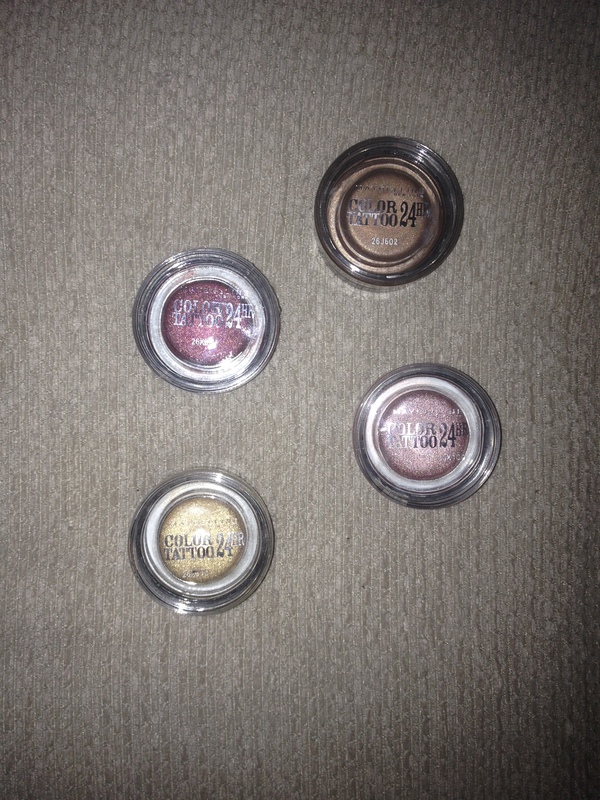 The shades I have are permanent taupe , Eternal Gold, Metallic Pomegranate , On and On Bronze and Pink Gold. These are cream eye shadows which means you don’t really need to use a primer, I just put a powder eye shadow on top to set it in place. These retail at 10.50 Euro in Ireland not the cheapest but they are worth the money.